My name is Aydan Hasanov. I was born on Oct. 7, 1978 in Sliven. I graduated the Technical University in Sofia. 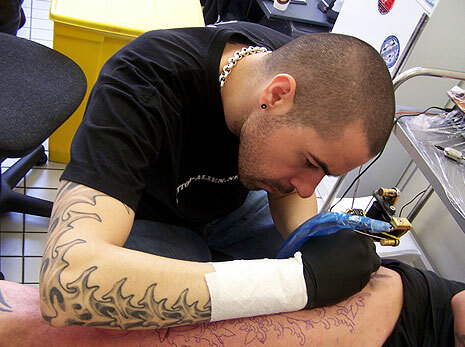 My career as a tattooist began rather spontaneously. First I made a tattoo on me - this was in 1997. My friends liked it and asked that I make some tattoos for them too. To everybody's surprise, these tattoos turned out pretty cool. 1 year in Golden Sands (2003). In 2002 I opened my own tattoo studio in Sliven and worked there until December 2010.
and once in Scotland (Glasgow - 2010).